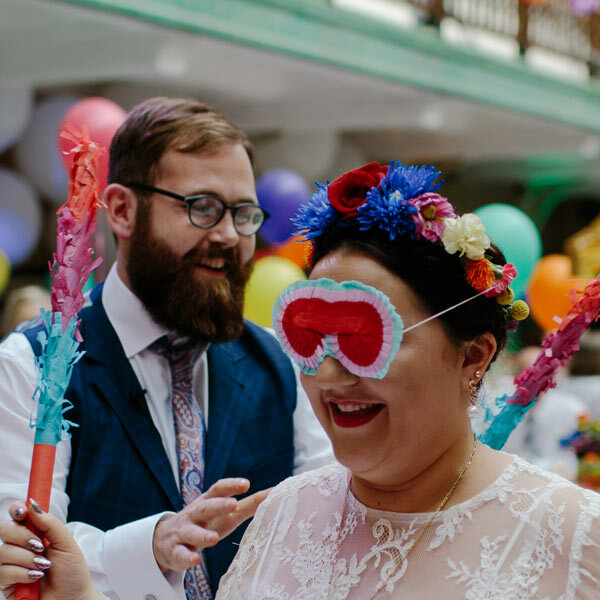 Nicola and Ant wanted a Mexican themed wedding, which was full of colour and fun. 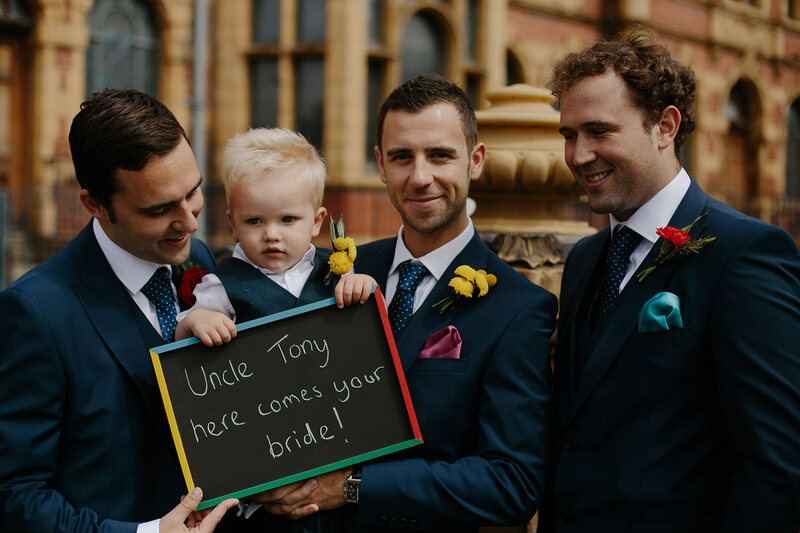 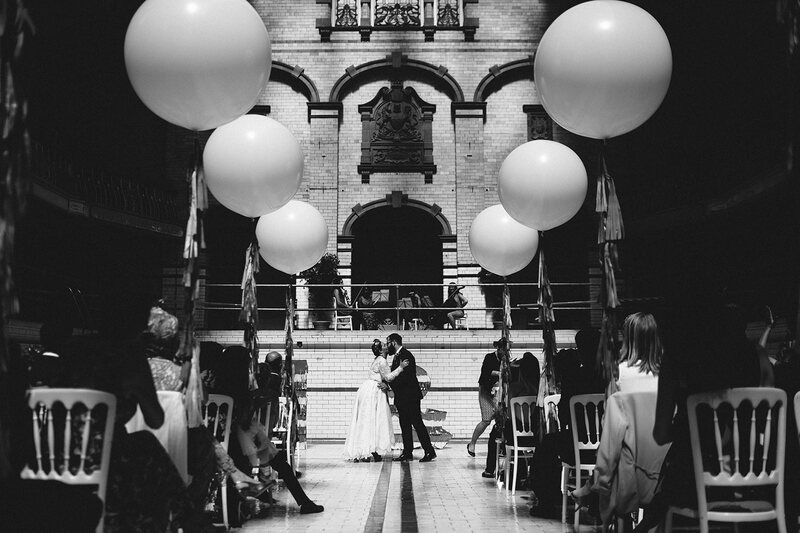 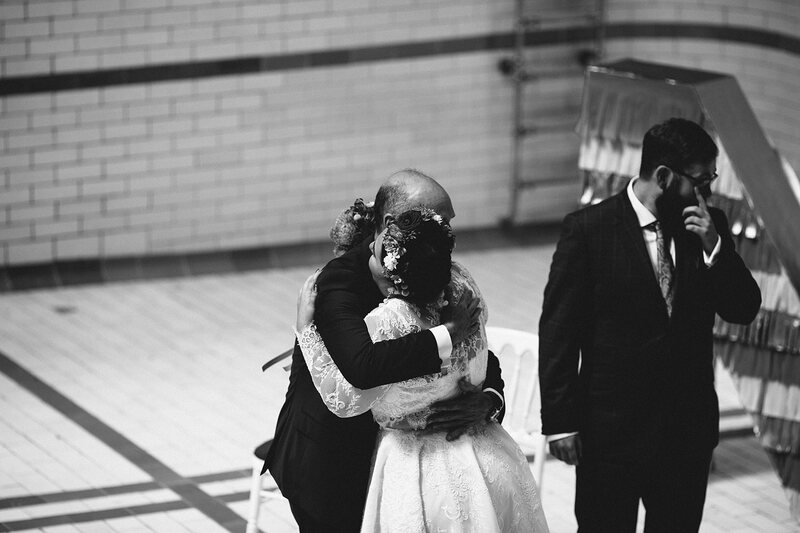 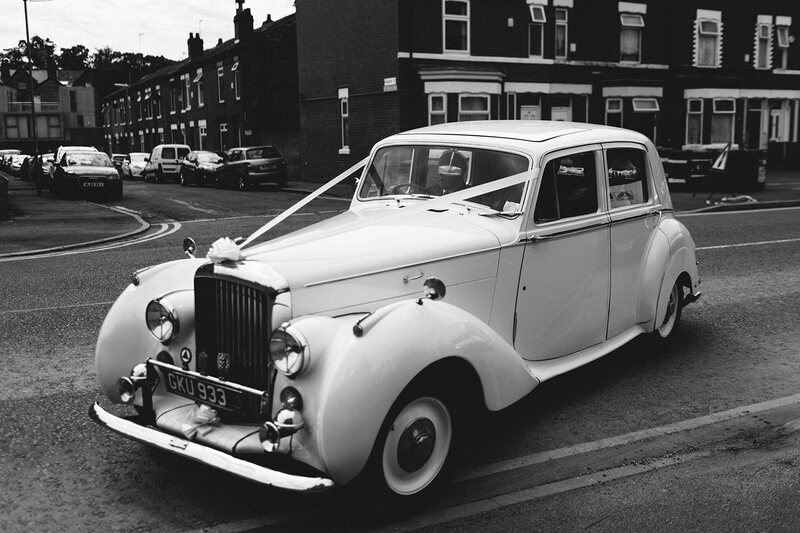 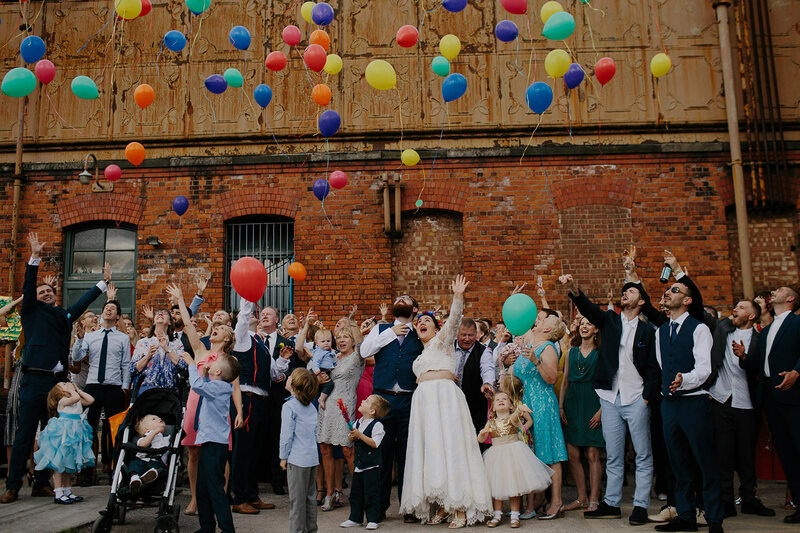 Their venue of choice was the quirky Victoria Baths and the result was simply breathtaking! 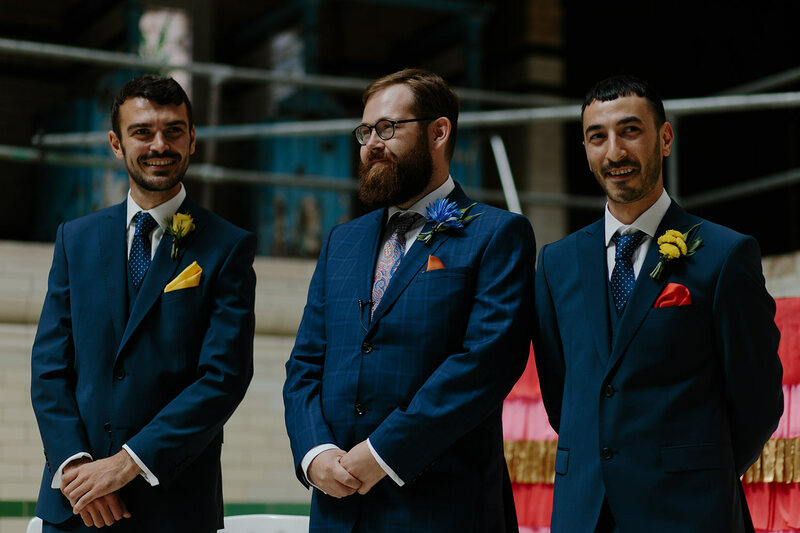 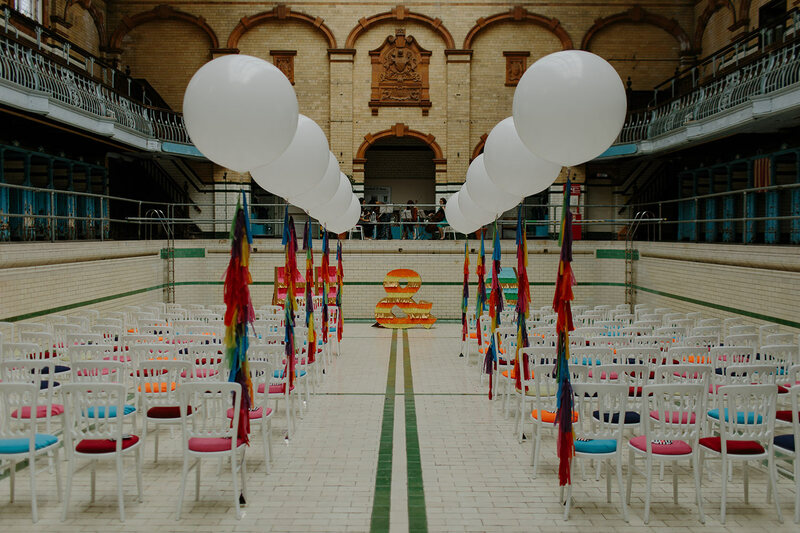 We dressed the Male’s First class swimming pool with giant white balloons, multi-coloured tassel tails and huge piñata letters, which stood behind the couple as their humanist ceremony took place. 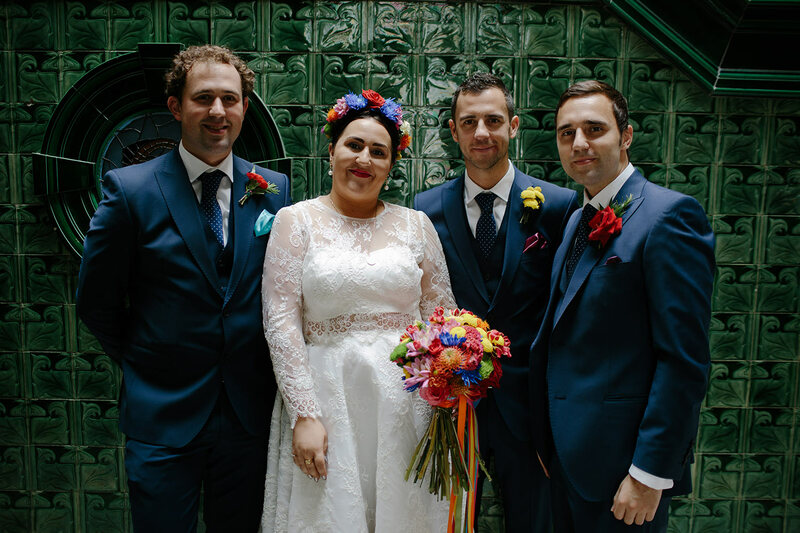 A string quartet played beautifully as Nicola walked down the aisle, dressed in her gorgeous Frida Kahlo inspired dress and flower crown. 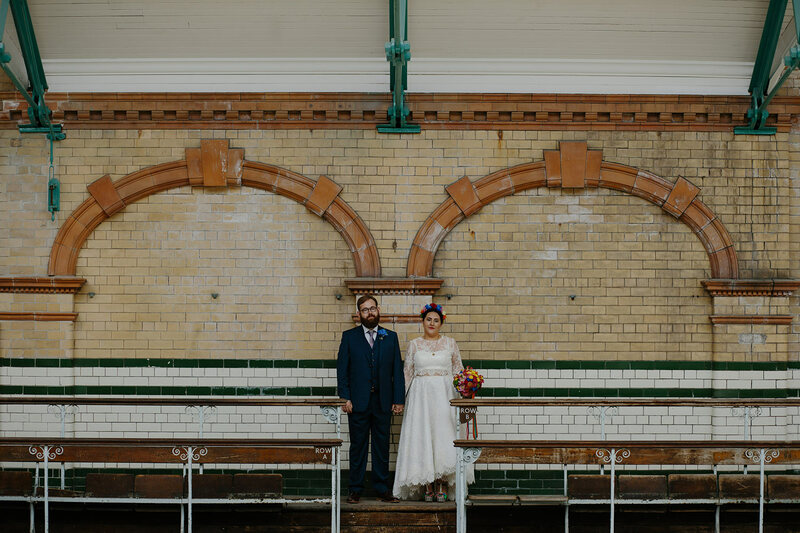 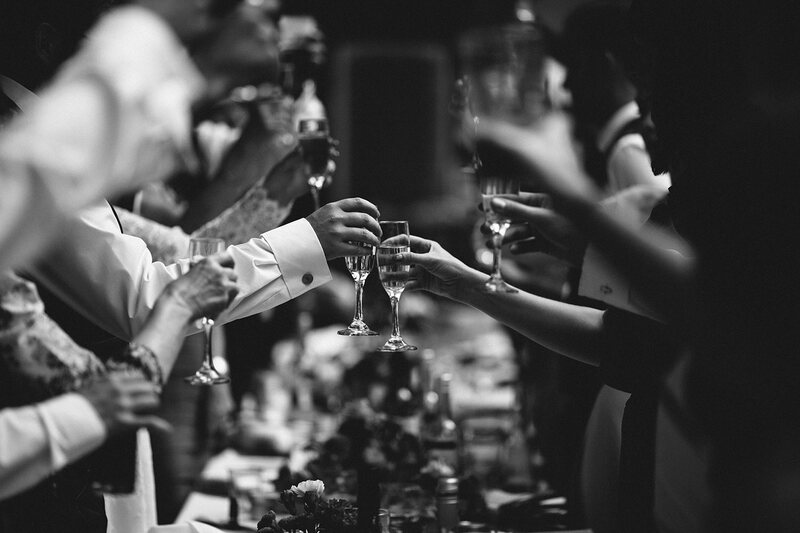 A champagne reception was held in the Turkish Baths prior to the wedding breakfast, which was located in the Men’s Second class swimming pool. 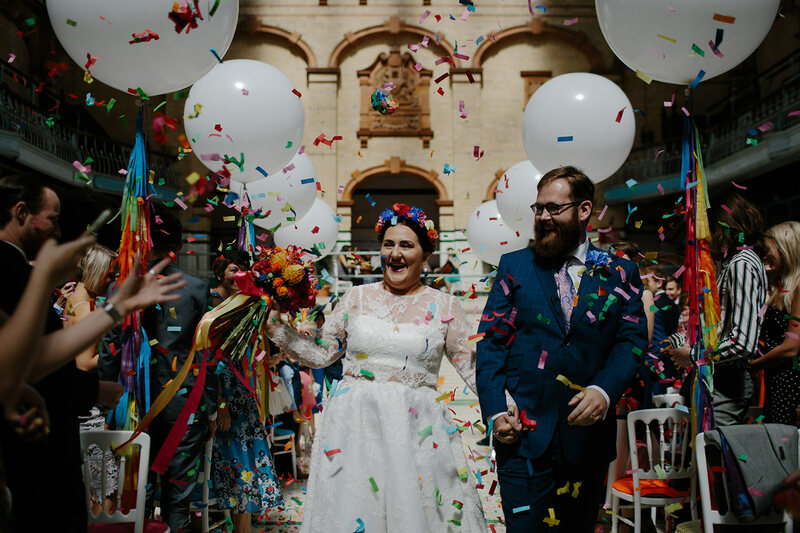 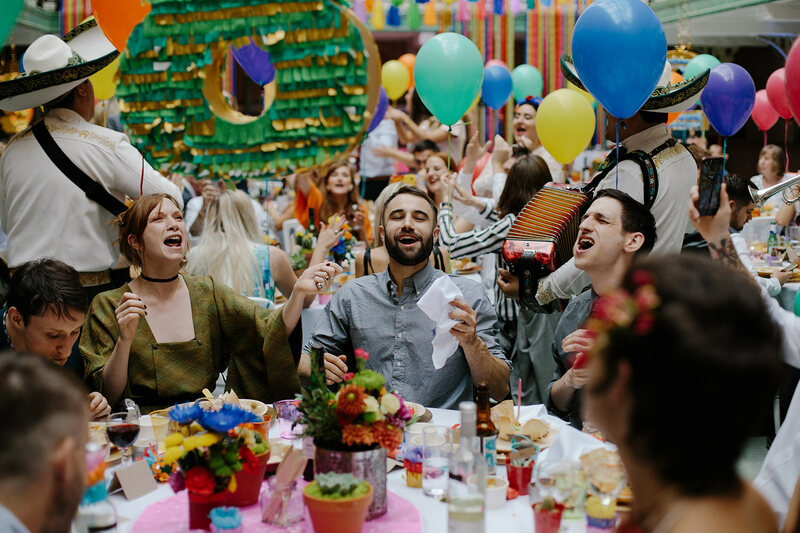 It was streamed with coloured tassel garlands, fairy lights, multi-coloured table runners and giant balloons; with a single balloon tied behind every seat to complete the look. 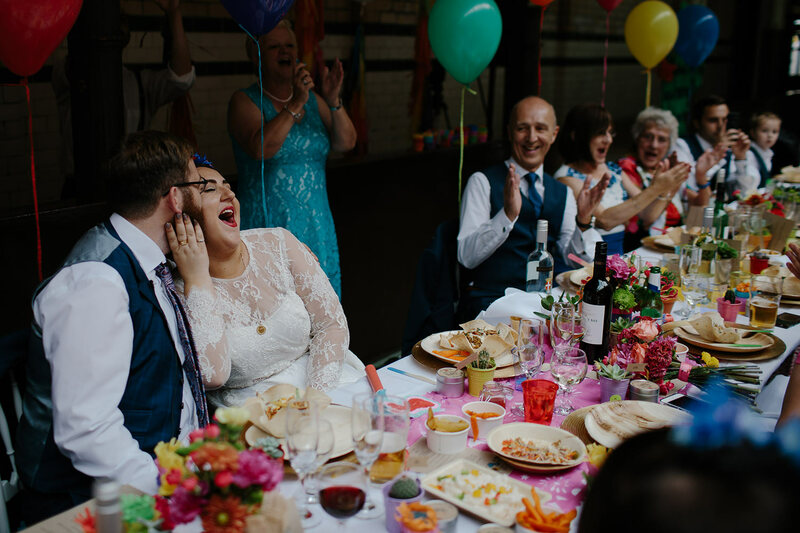 Mini succulents and cacti in multi-coloured zinc pots doubled as the favours and the name cards. 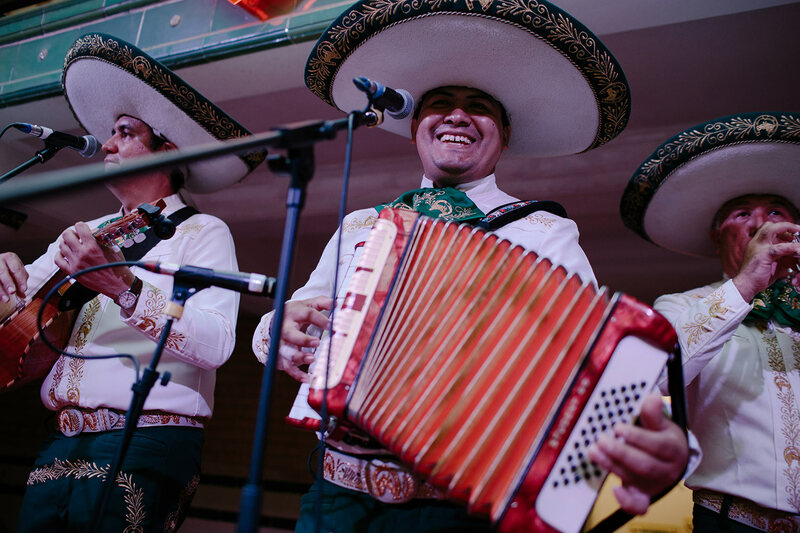 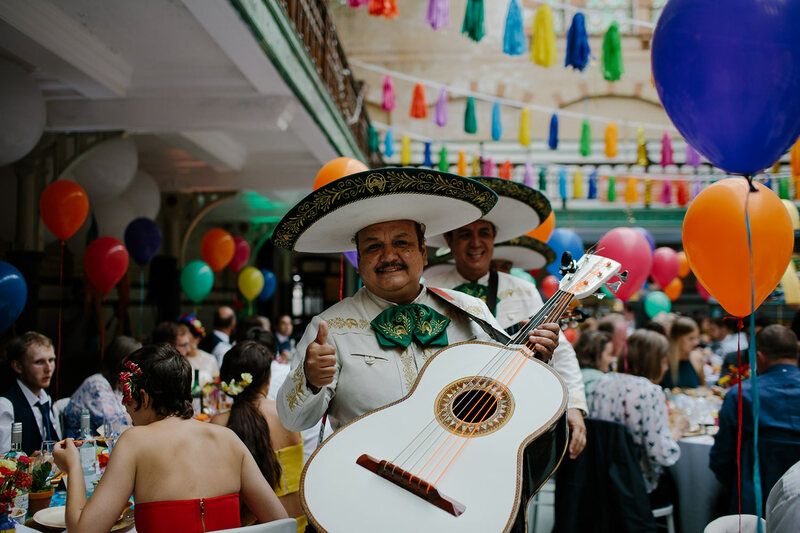 Dining on authentic Mexican street food, the guests clapped and cheered as they were serenaded by the sounds of the amazing Mariachi band. 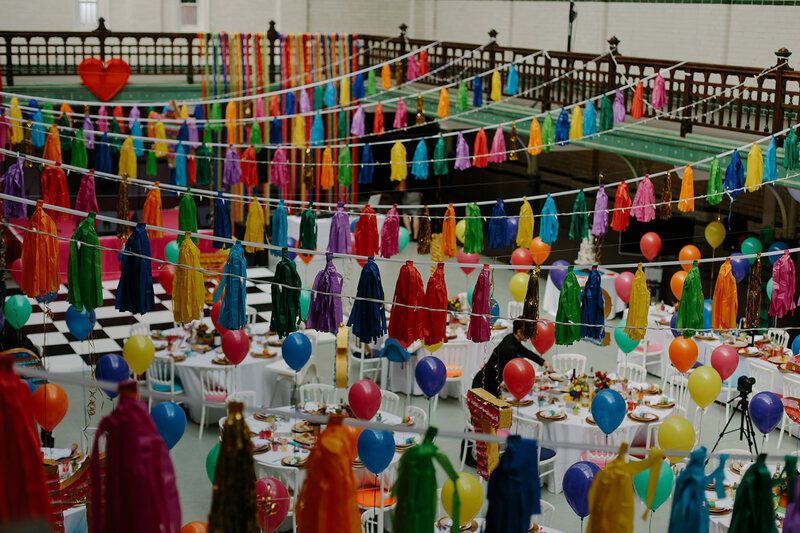 Over each table hung an individually decorated homemade piñata (which was cleverly used as the table number). 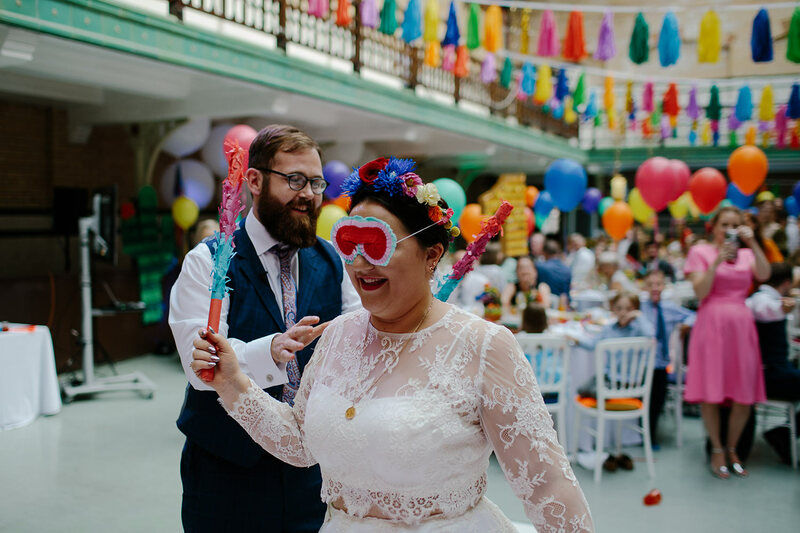 The coordinated piñata ‘smash’ started with the bride and groom; who relished smashing their piñata all over the dance floor with everyone else soon joining in. 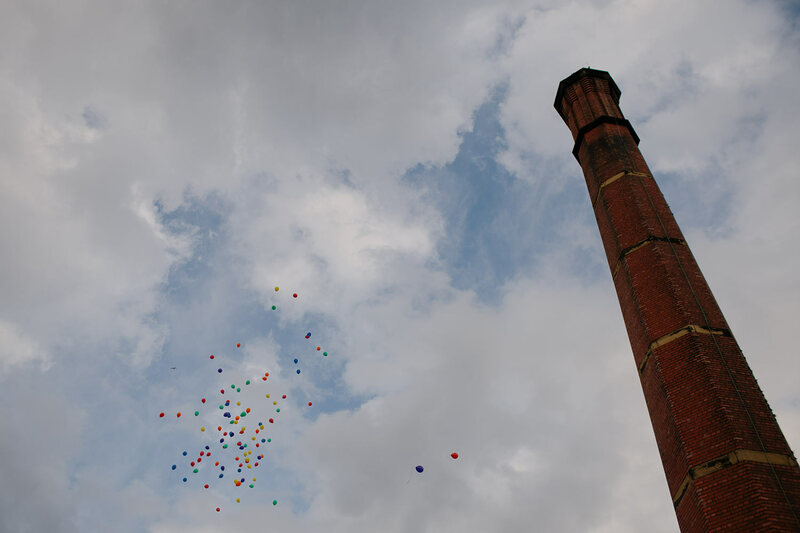 Guests were then directed outside for a coordinated balloon release, which in the summer sunshine just looked amazing. 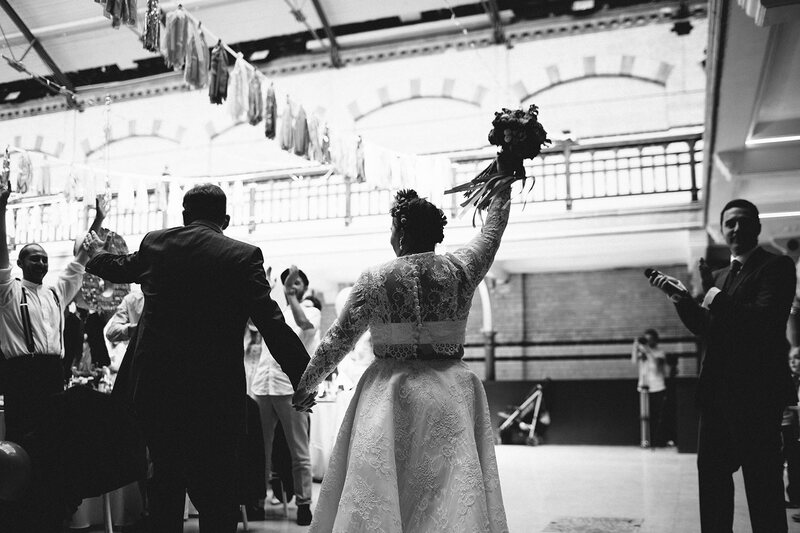 Next the guests headed to the ladies pool for dessert and the cocktail bar, where churros, fruit and chocolate fountains, and a sweet station full of the piñata sweets awaited. 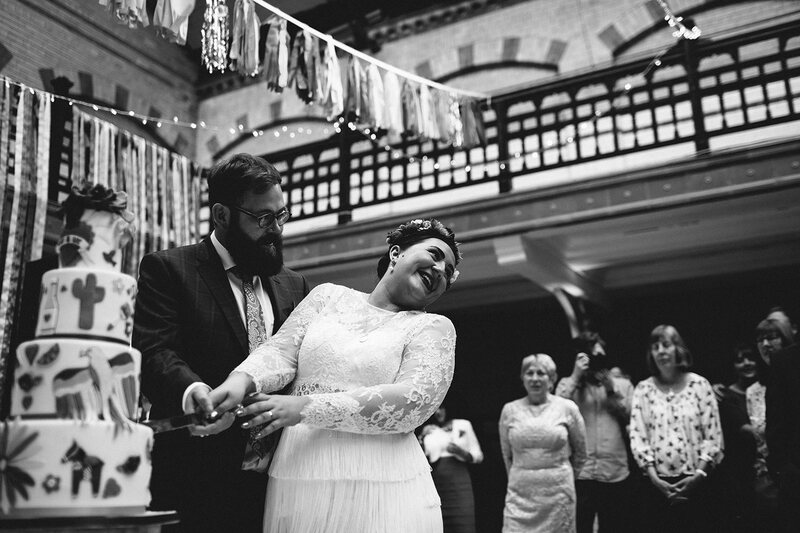 It was then on to the cutting of the cake and first dance, before the Mariachi band finished with their amplified set. 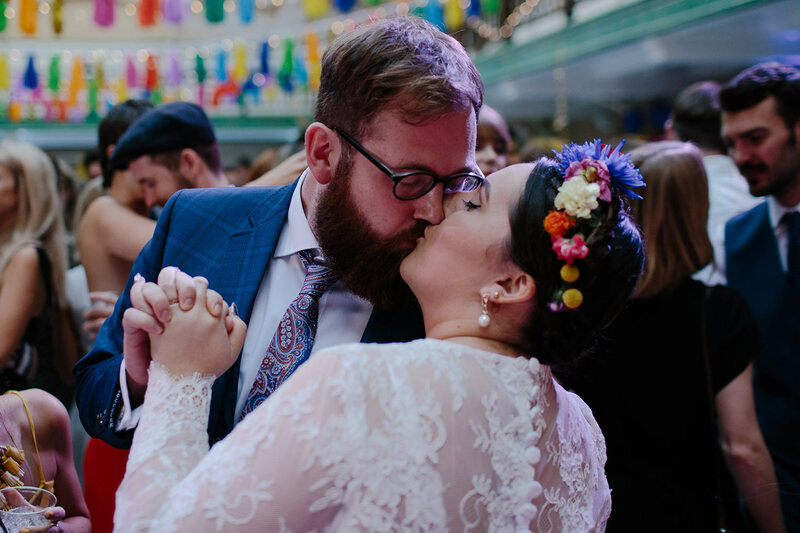 This wedding was a non-stop fiesta, full of vibrancy and laughter! 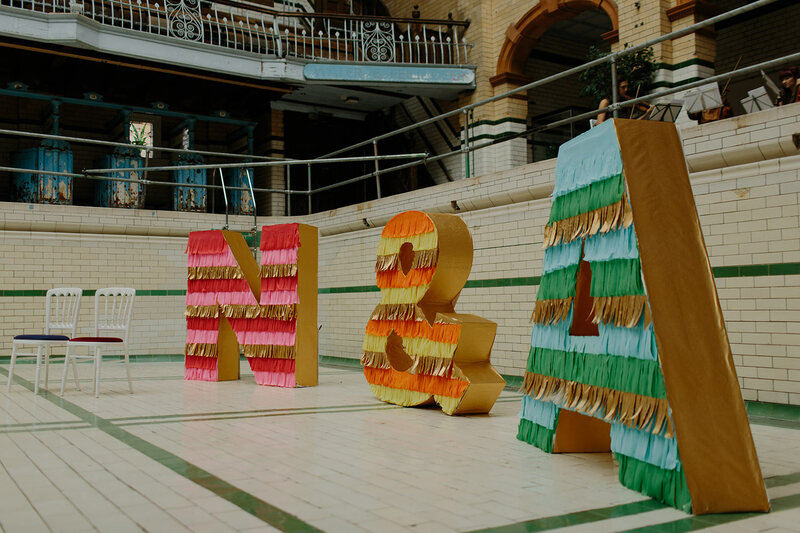 We hope Nicola and Ant enjoyed their Mexican themed wedding as much as we enjoyed bringing it to life. 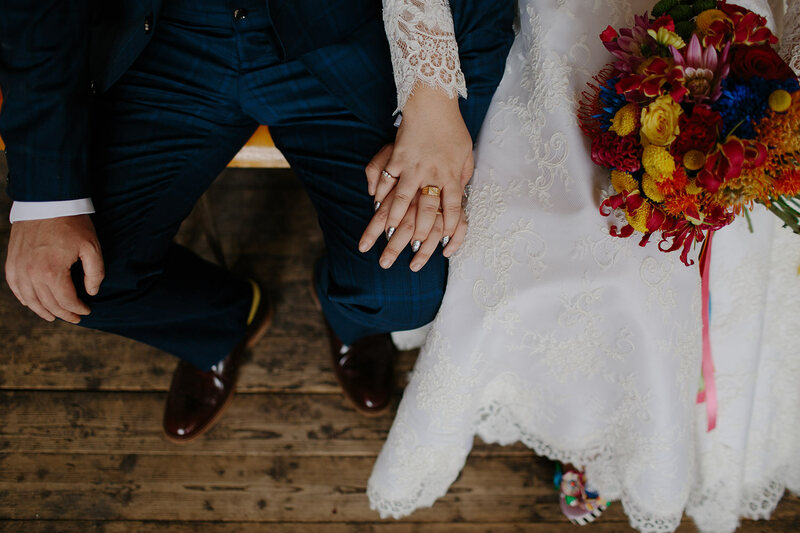 We wish them a lifetime of happiness together. 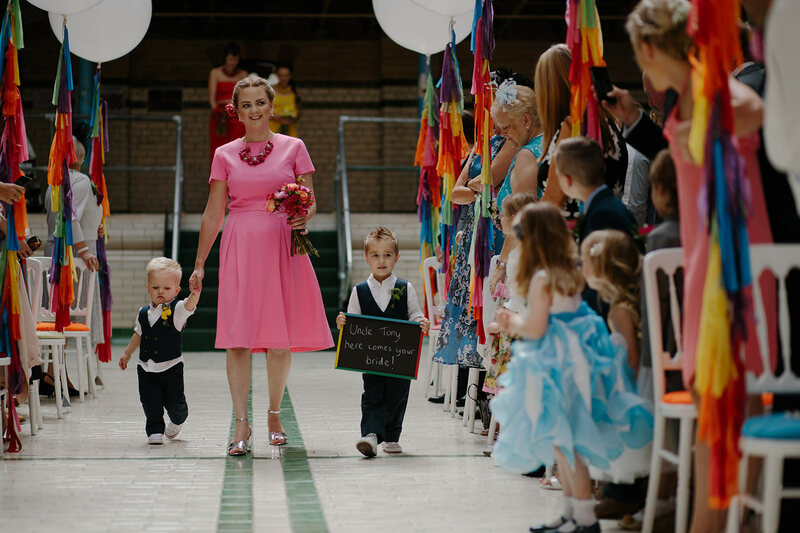 Debbie was amazing! 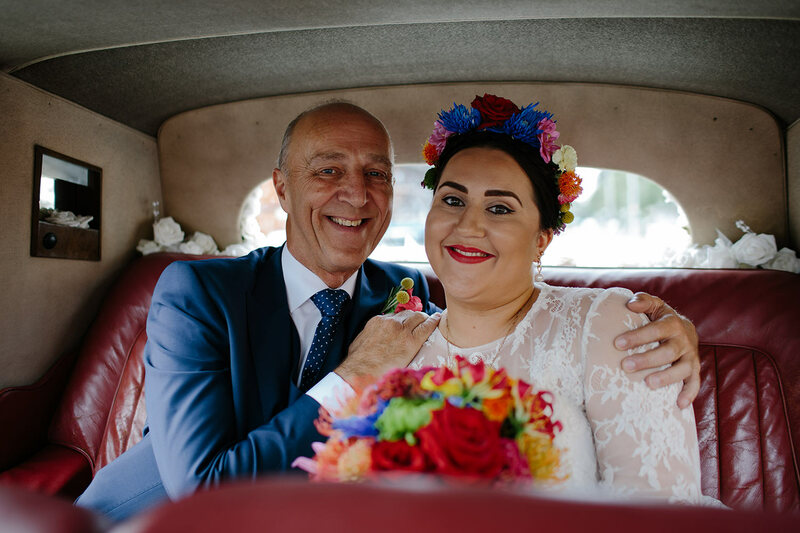 As our wedding wasn't a traditional one I had concerns about getting a wedding planner on board but as soon as I met Debbie the concerns disappeared! 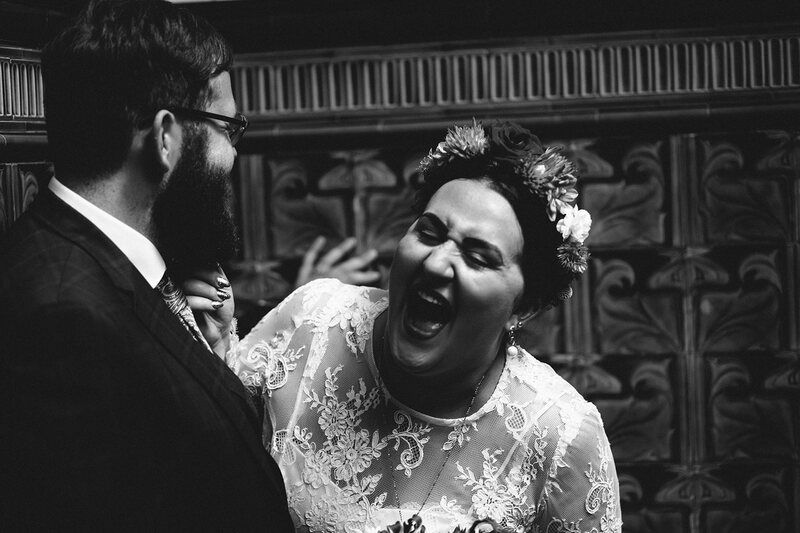 She took on the theme full heartedly and wasn't phased by any of my bonkers requests. 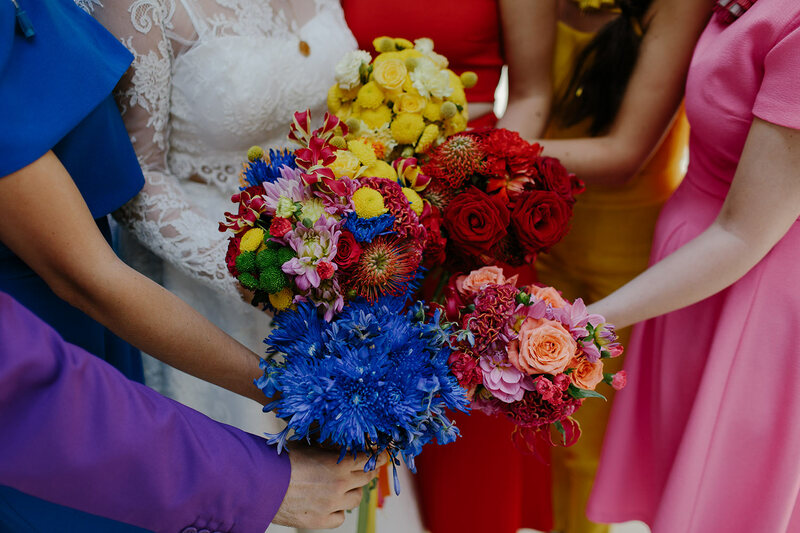 I would highly recommend Fabulous Together Weddings if you were looking for a wedding planner. 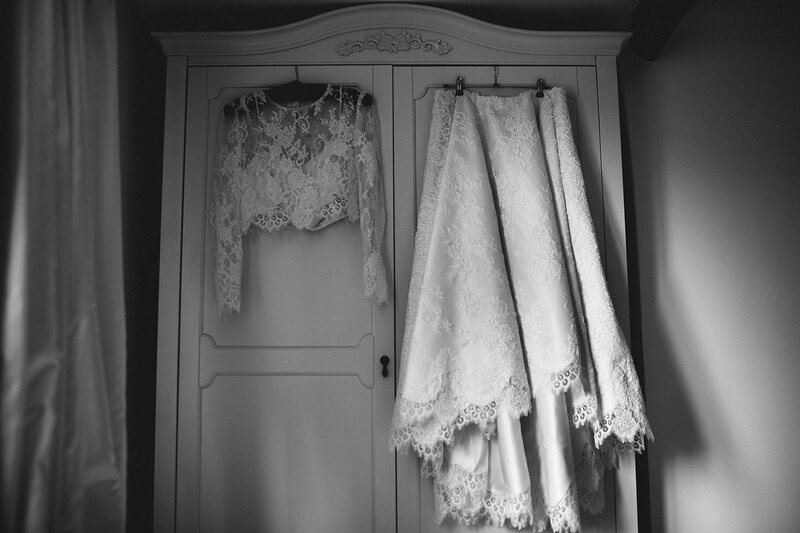 Debbie thinks of everything, is highly organised and is a great support for you on the day. 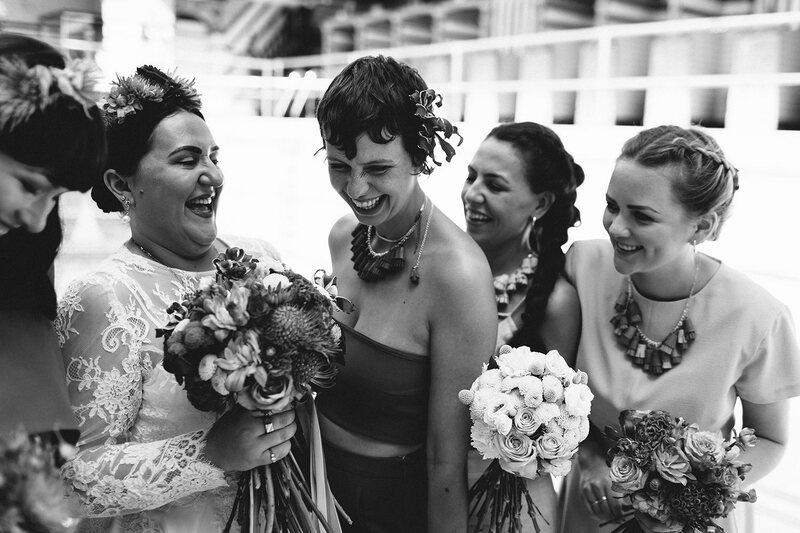 You don't have a worry about a thing Debbie has it all under control so you can just enjoy your day worry free!